Fan-favorite comics creators Brandon Graham (KING CITY, PROPHET, ISLAND) and Marian Churchland (FROM UNDER MOUNTAINS, BEAST) will release a trade paperback collection of the first four issues of their dream-like fantasy series ARCLIGHT this March from Image Comics. Sharp genderqueer knights, blood magic, death gods, astral projection, and a goose: ARCLIGHT has it all. Her mind trapped in a strange alien body, a lady of the blood house hides on the outskirts of her kingdom, until she learns that an alien monster pretending to be her has taken her place. ARCLIGHT TP (Diamond code: DEC160751, ISBN: 978-1-5343-0097-2) hits comic book stores Wednesday, March 22nd and bookstores Tuesday, March 28th. The final order cutoff deadline for retailers is Monday, February 20th. 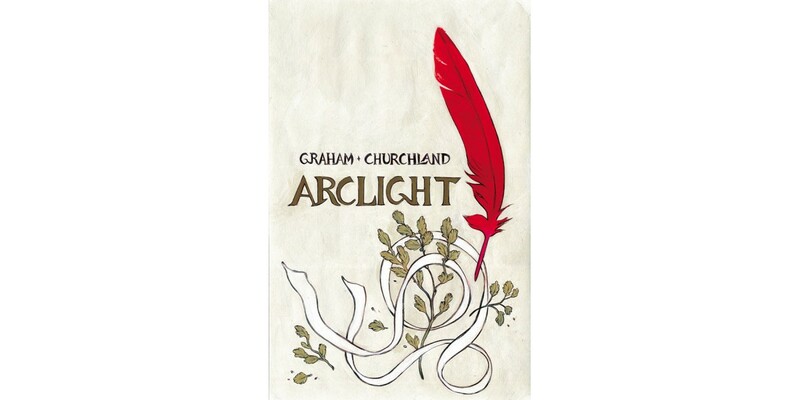 ARCLIGHT TP is available for preorder now via Amazon, Barnes & Noble, Indiebound, and Indigo. “ARCLIGHT is a story of solemn grace that gently pulls you into its story, titillating your imagination, and makes you want more.” —AiPT!